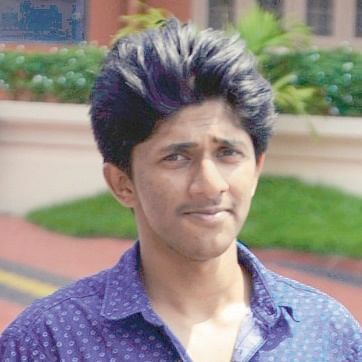 THRISSUR: Internet search giant Google presented a bounty of $7,500 to engineering student Hemanth Joseph, 21, from Pala after he helped them find a lapse that would affect users of Google Cloud. An ethical hacker, Joseph had undertaken the task as part of Google’s bounty programme, which asks anyone to detect and report any lapses in its various services. On September 12, he showed how hackers could get into Google Cloud user’s projects, causing huge losses to companies, big or small. He reported the same to Google, which confirmed the vulnerability the very next day and announced the reward to him. “Google gives bounties, ranging from $100 to $20,000, to ethical hackers after considering the seriousness of the threat they report,” said Joseph, who is Commander of Cyberdome, the cyber crime division of Kerala Police. This is not the first time that the final-year B Tech student of Amal Jyothi Engineering College, Kanjirappally, has been felicitated by multinational tech companies for exposing vulnerabilities in their systems. In the last four years, he earned a whopping Rs 10 lakhs doing so.His list of achievements include showing American Telecommunication giant AT&T that account of their users could be hacked. The feat brought him $5,000. He was also in news for reporting the hacking of Pebble Smartwatch users via a Facebook account. “In that case, I proved that I could hack into the watch through an FB account and destroy it,” he said. Pebble is one of the leading smartwatch makers in the world. His work has earned him acknowledgement from Google, Twitter, Yahoo, AT&T and also Microsoft, for which he reported vulnerabilities on four occasions. For him, security analysis is a hobby, which he is using as a pocket-money maker.